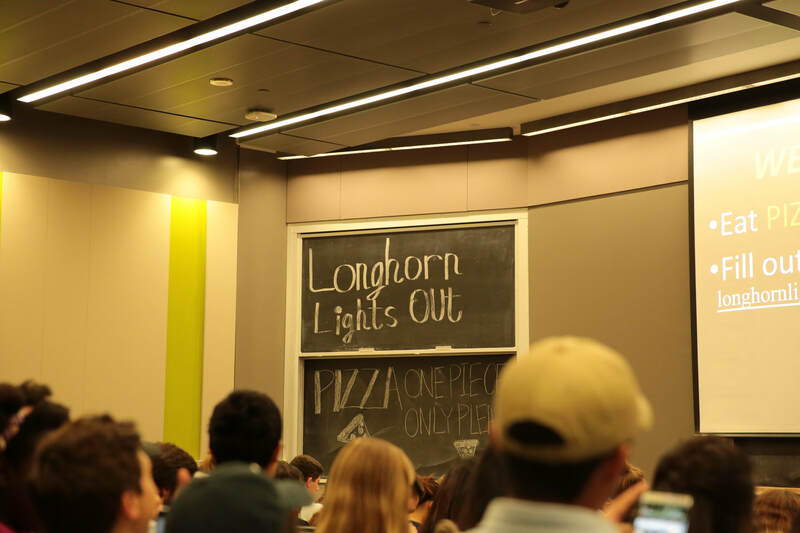 Longhorn Lights Out (LLO) is a volunteer group at the University of Texas at Austin that seeks to reduce energy consumption and promote environmental sustainability on campus. On the last Friday of every month, our organization holds campus-wide events in which participants reduce energy usage by turning off lights, unplugging unnecessary electronics, and powering down computer equipment. It's always surprising to see just how many lights are left on even after everyone leaves for the weekend! With your generous donations, LLO will be able to cover event expenses, expand our outreach involvement, and hold meetings more frequently, thus increasing energy savings and educating more participants on how they can be more sustainable in their everyday lives. 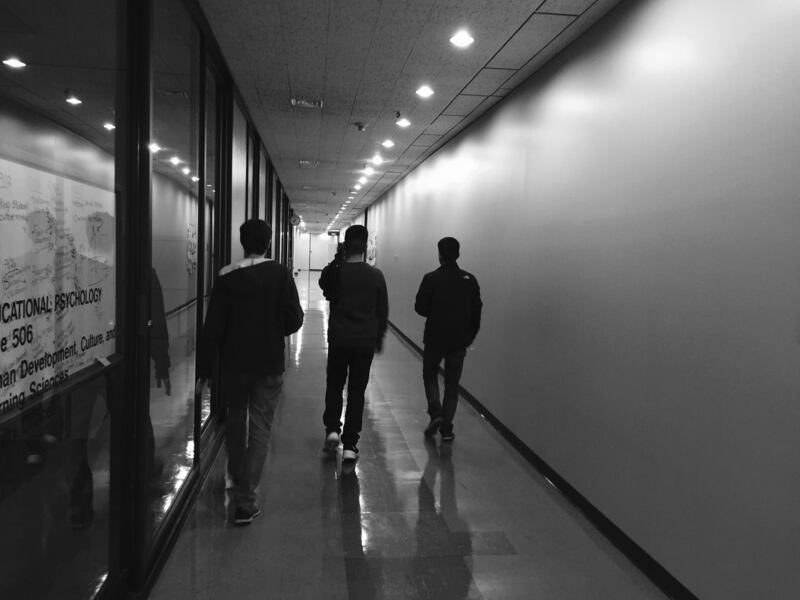 At our monthly events, we assign each building on campus to a group of students, and they set out to complete their mission of energy conservation. During this time, volunteers also record the number of devices turned off through our mobile link, leave magnets and notes as friendly reminders to save energy, and capture the experience through photos and videos sent to our Twitter page. Upon their return, we announce the winners of our LLO photo contest and teach members about sustainability. We also engage in activities such as "Energy Conservation Trivia" and host presentations including an information session on UT's first ever Sustainablity Master Plan. The President's Sustainability Steering Committee set the goal for campus to reduce energy and water use by 20 percent by the year 2020. LLO's efforts are the perfect example of how small actions can have a big impact. Since our start in April 2013, LLO events have saved over 147,194 kWh of electricity, turning off 98,376 lights over 32 events, with 4315 volunteers participating. Outreach is also a very important aspect of Longhorn Lights Out! Over the past four years, we have educated the general public about sustainability at many events, including Explore UT, the Campus Volunteer Fair, and the Student Organization Fair at freshman orientation. At these events we discuss issues in energy consumption, water usage, and food waste to raise awareness about resource usage. Every year, LLO also participates in UT's Earth Week Celebration, so be sure to come by during the week of April 17th to learn more about us! We are excited to grow our involvement in the community and in educating the public about the importance of resource conservation. Our Hornraiser project would directly support the funding needed to start creative, educational activities for students and members of the UT community, such as a trash pick-up competition or DIY recycled materials build. The funds from Hornraiser will allow LLO to cover event expenses that make our meetings more engaging and attractive to students. We can hold larger events more frequently with the increased budget, which will result in more energy saved and more participants educated on how to live sustainably. Lastly, we wish to increase our involvement in engaging with the community, whether that is through educational activities, conservational competitions, or eco-friendly giveaways that encourage the conversation of sustainability. With your generous help, we can accomplish these goals and show our community that everyday, environmentally-conscious actions can not only make a huge impact over time, but can also be fun and enjoyable! With this donation, you will help us support over 6 students to turn off lights! With this donation, you will help us support 11 students to turn off lights! With this donation, you will help us support 22 students to turn off lights! At this level, you can help us support 46 students to turn off lights! At this level, you will sponsor nearly 95 students for an LLO event! 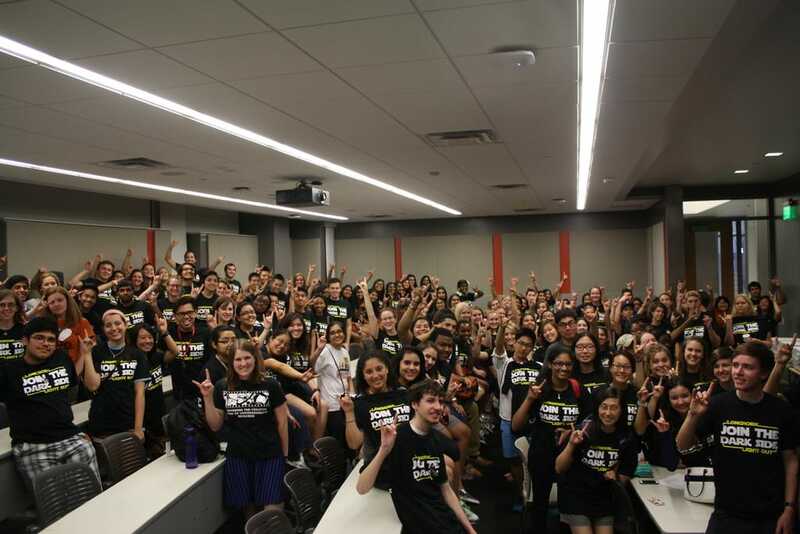 Your donation will help us support an entire LLO event of over 190 students! We will thank you from our Facebook page for your generosity and give you a shout out on social media! You will help turn us support more than 200 students at an LLO event. This would help sponsor two complete LLO events! To show our appreciation, we will thank you from our Facebook page, as well as invite you out to an LLO event to experience energy conservation first-hand. With this generous donation, you will help us sponsor over 300 students. This will allow us to hold an entire semester of LLO events! To show our appreciation, we will thank you from our Facebook page, as well as invite you out to an LLO event to experience energy conservation first-hand.